Pipa Cocktail table as seen in Relish magazine and at Wallis Designs. 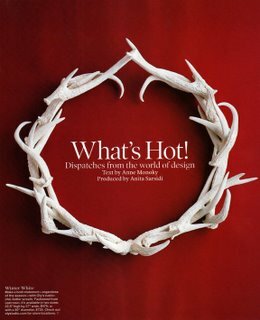 Oly's Isa chandelier was featured in Elle Decor in October 2006 in their What's Hot section. Also available at Wallis Designs. 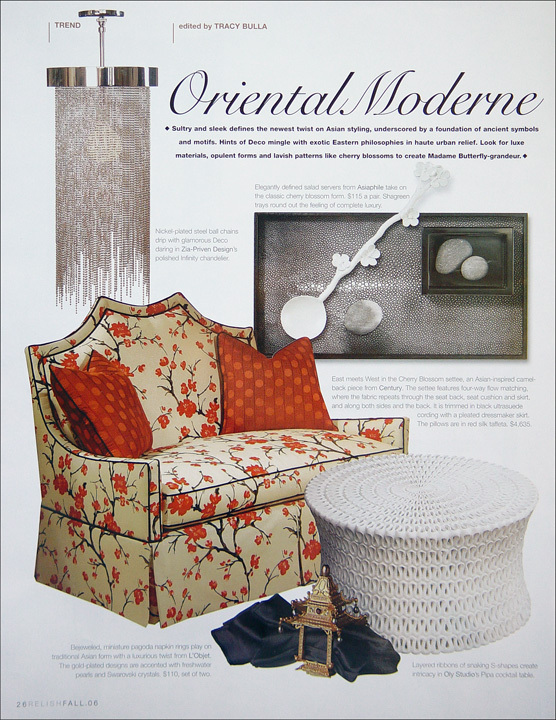 Oly's beautiful moon mirror was featured in the November 2006 issue of California Style. 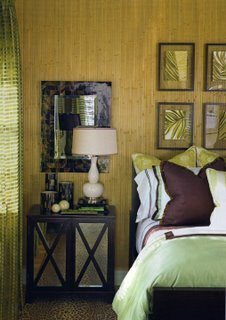 Get this style from Wallis Designs. Antler wreath by Oly Studios featured in the What's Hot section of the December 2006 edition of Elle Decor. Also featured at Wallis Designs in a beautiful set of three. 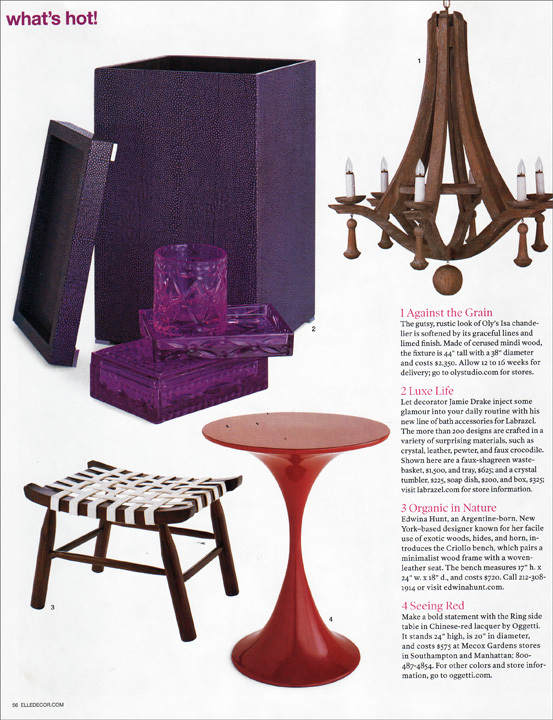 The Robert bedside tables by Oly Studio were featured in the December 2006 issue of House Beautiful and are currently on display at Wallis Designs.